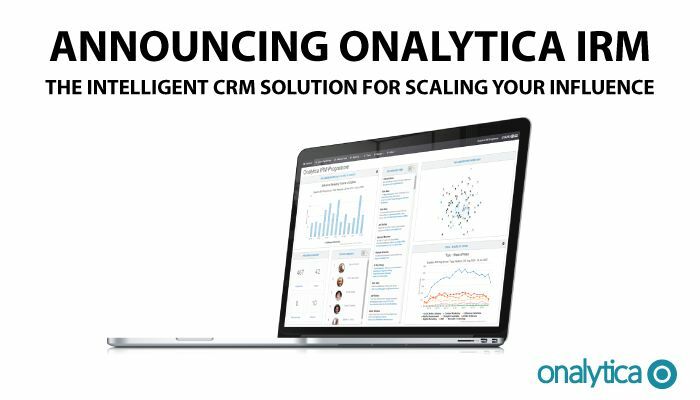 I am excited to announce the general availability of our new product Onalytica IRM. Onalytica IRM helps deliver better ROI on all types of influencing activities including PR, Corporate Communications, Investor Relations, Analyst Relations, Software Evangelism, and blogger relations. Onalytica IRM is also a content marketers dream come true as it contains patent-pending functionality that automatically identifies when any content or marketing collateral you have is likely to be relevant and useful for an influencer. This is a game-changer for organisations that have large amounts of white papers, case studies or similar. Simply upload them all to Onalytica IRM and it will automatically flag up when something is relevant for an influencer. Onalytica IRM is 100% cloud-based so there is no software to install. Get in touch to learn more about how you can scale your influencing activities and dramatically improve your ROI.